Chetola Resort at Blowing Rock is a prominent oasis, a world apart. 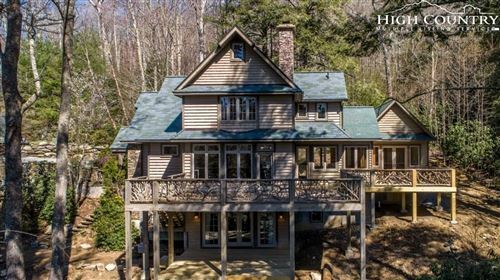 This 87-acre property is set amidst the Blue Ridge Mountains of Western North Carolina and creates a world of simple luxuries. It’s an attraction, an escape, and a place to call home, all in one. The resort is locally owned with word-class services. It boasts an intriguing history, but we’re more interested in its future and whether you play a role in it. Real estate at Chetola is highly sought-after. If you think you’d enjoy being a resident of Chetola Resort, we would enjoy pursuing that alongside you. The Mountain Group at Premier Sotheby’s International Realty features an inclusive list of area properties. If there are condos available at this coveted mountain community, you’ll find them here. Our site is up-to-d ate and dependable. It’s a resource you can rely on to keep you informed and competitive. Likewise, our team is an advantage you’ll need for this investment. Allow us to give you the chance you deserve. Whether you’re hoping to find a two-bedroom condo, fully furnished, with a porch and a view or a large, four-bedroom unit with private yard space and an ideal setting, you won’t be disappointed in the options. Most of the time, it’s important to be realistic about your expectations when it comes to purchasing real estate. However, when we’re talking about Chetola real estate, you can dream big. Not only do residents have the life of luxury within the parameters, but they also have easy access to Blowing Rock, at large. You’ll want for nothing when you live here. It’s an opportunity you won’t want to pass up. If you don’t come across an available unit at first, that doesn’t mean you have to move on. Be sure to mention it to us and we’ll do a more thorough search, and keep an eye out for any new activity. When you’re called to invest in Chetola Resort at Blowing Rock, we’re called to search, seek, and serve.